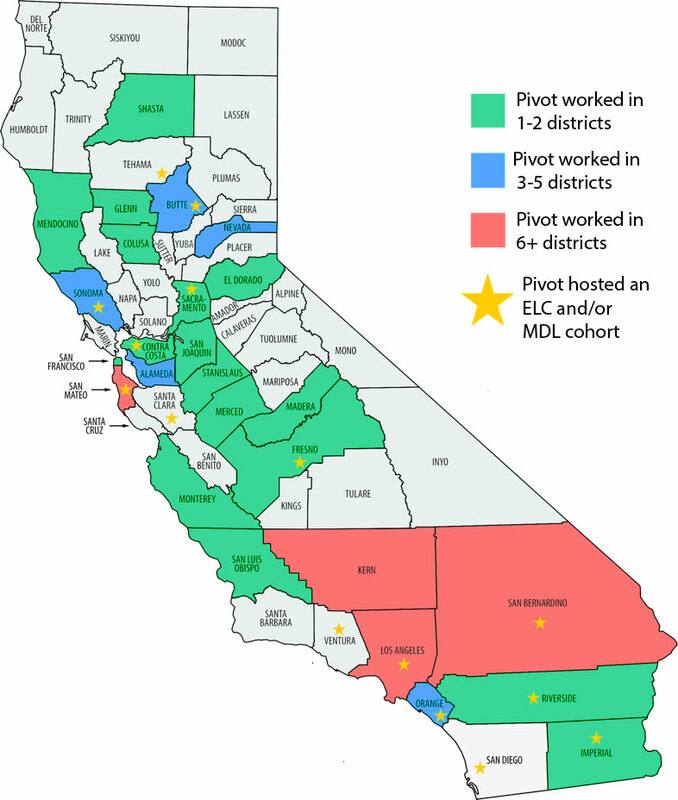 In 2015-2016, Pivot partnered with more than 72 school districts, expanding the capacity of district and school leaders across California to ultimately reach 12% of students in the state. And that’s just the start. We’re scaling our services throughout California and beyond, addressing the needs and changes the entire nation is facing. 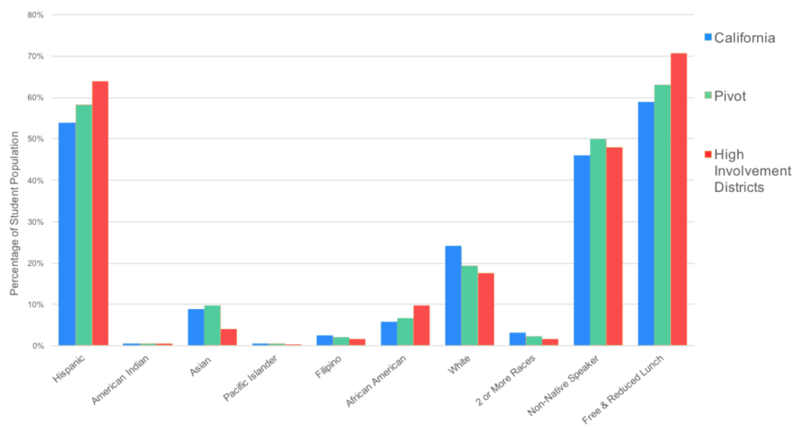 Pivot Learning continues to serve an under-resourced population of students, in which Hispanic and African American students, non-native English speakers, and students receiving free and reduced-price meals were overrepresented relative to their prevalence in the state. We forge new pathways with leaders and teachers to create better school systems, efficient use of resources, and improved instructional practices – all designed to help districts realize their student achievement goals.